All the stage events, and when and where to watch them. The week of Tokyo Game Show 2018 is upon us. This year’s annual exhibition runs from September 20 to 23, and like the years before it, there will be a multitude of events happening that will be live streamed to viewers at home. This is our mega-schedule. Everything and anything you need to know about what is happening at Tokyo Game Show 2018 and where to watch it is likely listed here. Give it a bookmark and enjoy the week to come. Editor’s Note: This schedule will continue to be updated leading into and during Tokyo Game Show 2018. Some live stream links are not yet available, some programs are still to be announced, etc. 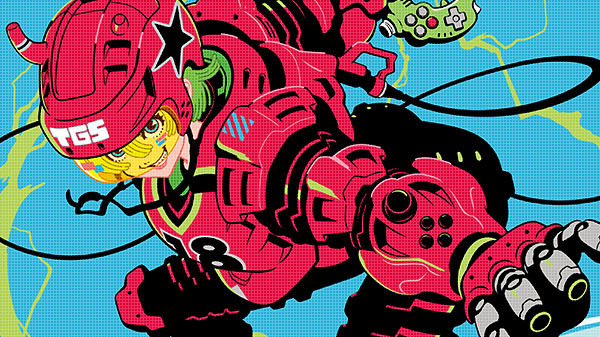 Find all of our Tokyo Game Show 2018-related stories here. 10:00 – Active Gaming Media: Currently being adjusted. 15:00 – Success Corporation: Umihara Kawase Fresh! 17:00 – Koei Tecmo Games: Nobunyaga’s Ambition: Nyapuri! 13:00 to 14:00 – Kill la Kill the Game: IF Introduction – Kill la Kill the Game: IF Producers and Directors will be on stage to discuss the highlights and latest information on this anticipated upcoming game. 14:00 to 14:30 – Arc Revo World Tour Stage – Arc System Works President Minoru Kidooka will be on stage to break down the information regarding the upcoming World Tour, as well as event regulation. 15:00 to 15:30 – Daedalus: The Awakening of Golden Jazz Introduction Stage – Daedalus: The Awakening of Golden Jazz, the new chapter in the popular Jake Hunter series will have brand new information shown off ahead of its planned 2018 release. 16:00 to 16:30 – Arc System Works Asia Branch Stage – Arc System Works is promoting overseas deployment! During this presentation, we will introduce Arc System Works’ expansion into Asia. 13:00 to 14:00 – Kill la Kill the Game: IF Development Talk Show – Hiromi Wakabayashi (creative producer of Kill la Kill) and Sushio (character designer of Kill la Kill) will chat with Yoshinaga Yoshitsugu (Arc System Works) and Mizota Hideaki (APlus Games) about the upcoming Kill la Kill game. 14:30 to 15:00 – The Missing: J.J. Macfield and the Island of Memories Development Talk Show – We will deliver brand new information about the upcoming puzzle platformer with White Owls Inc.’s Swery and Arc System Works’ Mori Toshimichi. Find out how this mysterious new game was created and how the game came to be. 15:30 to 16:30 – BlazBlue: Cross Tag Battle Business Tournament – Guests across the Japanese gaming industry clash in a mini-tournament of BlazBlue: Cross Tag Battle. Our own Mori Toshimichi, the producer of this game himself, will also participate! Ganbare, Mori-san! 11:00 to 11:30 – Daedalus: The Awakening of Golden Jazz Introduction Stage – A discussion about the upcoming game, Daedalus: The Awakening of Golden Jazz. 14:00 to 15:30 – Kill la Kill the Game: IF Exhibition Match – EVO 2018 winners Heiho and Omi take the stage for an exhibition match of Kill la Kill the Game: IF! 16:00 to 16:30 – The Missing: J.J. Macfield and the Island of Memories Development Talk Show – A talk show about the upcoming game by popular game creator Swery (White Owls) and Mori Toshimichi (Arc System Works). 11:00 to 11:30 – The Missing: J.J. Macfield and the Island of Memories Introduction Stage – A talk show about the upcoming game by popular game creator Swery (White Owls) and Mori Toshimichi (Arc System Works). 13:00 to 14:00 – Kill la Kill the Game: IF Special Stage – A special talk show featuring Kill la Kill’s legendary voice actors. 14:30 to 15:00 – Daisuke Ishiwatari and Toshimichi Mori Special Talk Stage – Arc System Works’ two biggest creators – Guilty Gear series general director Daisuke Ishiwatari and BlazBlue series producer Mori Toshimichi’s come to the stage! Looking back on our 30 years of gaming awesomeness, these two are sure to have some great insight! 16:00 to 16:30 – Daedalus: The Awakening of Golden Jazz Special Stage – Ms. Aika Kobayashi, who appears in the upcoming game, Daedalus: The Awakening of Golden Jazz, will join us on stage to talk about the development team and to share some confidential stories. 13:00 to 13:45 – Billion Road x Captain Billy Exercise Stage (YouTube, Niconico, Periscope) – Featuring Billy Blanks (Captain Billy) and Aoba Miyazaki (Bandai Namco Entertainment). 11:00 to 11:45 – Kouya no Kotobuki Hikoutai Anime & Game Project Presentation (YouTube, Niconico, Periscope) – Featuring Sayumi Suzushiro (Kirie voice actor), Eri Yukimura (Enma voice actor), Sayaka Nakaya (Kate voice actor), Asami Seto (Leona voice actor), Hibiku Yamamura (Zara voice actor), Miyu Tomita (Chika voice actor), Shigeyuki Ninomiya (military supervisor), and others. 12:30 to 16:30 – Tekken Pro Championship Japan Representatives Finals (YouTube, Niconico, Twitch, OpenRec) – Featuring players AO, Karei, Take., Double, Nobi, Noroma, Hakaiou, Pekosu, and Yuu, MC Masao Koori, and commentators Hameko. and commentator Tanukana. 11:00 to 11:40 – Tales of Crestoria News Station (YouTube, Niconico, Periscope) – Featuring the voice actors behind the protagonist and heroine (to be announced at a later date), Junpei Mizusaki (Kamikaze Douga), and Tomomi Tagawa (Bandai Namco Entertainment). 12:10 to 12:55 – Soulcalibur VI Is Your Soul Burning!? Special Stage (YouTube, YouTube English, Niconico, Twitch, Bahamut Chinese) – Featuring Takahiro Sakurai (Groh voice actor), Chinatsu Akasaki (Seong Mi-na voice actor), Motohiro Okubo (Bandai Namco Entertainment), and Oosaka (Bandai Namco Studio). 13:25 to 14:05 – JoJo’s Bizarre Adventure Golden Stage (YouTube, Niconico, Periscope) – Featuring Kenshou Ono (Giorno Giovanna voice actor) and the producer of JoJo’s Bizarre Adventure: Pitapata Pop. 14:45 to 15:30 – Sword Art Online Game Series 5th Anniversary Special Stage (YouTube, YouTube English, Niconico, Periscope, Bahamut Chinese) – Featuring Kazuma Miki (Straight Edge), Shinichiro Kashiwada (Aniplex), Rina Hidaka (Silica voice actor), Sachika Misawa (Strea voice actor), Yosuke Futami (Bandai Namco Entertainment), and Yasukazu Kawai (Bandai Namco Entertainment). 16:00 to 16:45 – God Eater 3 Special Stage (YouTube, Niconico, Periscope, Bahamut Chinese) – Featuring Shun’ichi Toki (Zeke voic actor), Ayaka Nanase (Lulu Baran voice actor), Yusuke Tomizawa (Bandai Namco Entertainment), Yuuya Tomiyama (Bandai Namco Entertainment), Hiroshi Yoshimura (Bandai Namco Studio), and Wataru Atsumi (Bandai Namco Studio). 14:30 to 15:30 – The Idolmaster: Shiny Colors Talk & Mini Concert ~Light Up!!! Illumination Stars~ (Niconico) – A numbered ticket is required to view this stage event. Featuring Hitomi Sekine (Mano Sakuragi voice actor), Reina Kondou (Hiori Kazano voice actor), Mayu Mineda (Meguri Hachimiya voice actor), Youzou Sakagami (Bandai Namco Entertainment), and Yusuke Takayama (Bandai Namco Entertainment and BXD). 16:30 to 19:00 – Dragon Ball FighterZ No. 1 in Japan Martial Arts Tournament (Niconico, Twitch, OpenRec) – On the e-Sports X Stage (11 Hall e-Sports X Blue Stage). Featuring commentator Oonuki and Tomoko Hiroki (Bandai Namco Entertainment). 13:00 to 13:30 – Neko Tomo ~Nekoko and Tomomo’s Special Photo Session~ – Featuring Nekoko and Tomomo. 11:30 to 12:15 – Ace Combat 7: Skies Unknown Special Stage (YouTube, Niconico, Periscope, Bahamut Chinese) – Featuring Sakki Yukino, Megumi Han, Sunao Katabuchi (scriptwriter), Keiki Kobayashi (composer), Kazutoki Kono (Bandai Namco Entertainment), and Manabu Shimomoto (Bandai Namco Entertainment). 13:30 to 14:15 – Dragon Ball Legends Special Stage (YouTube, Niconico) – Featuring Kenji Akabane (Shallot voice actor) and other special guests to be announced at a later date. 15:00 to 15:45 – One Piece: World Seeker Special Stage (YouTube, Niconico) – Featuring Romeo Hirata (Bandai Namco Entertainment), Kuzan Yahata (Bandai Namco Entertainment), and other special guests to be announced at a later date. 11:00 to 14:00 – Tekken Pro Championship Japan Representatives Finals Day 2 (YouTube, Niconico, Twitch, Twitch English, OpenRec) – On the e-Sports X Stage (Hall 11 e-Sports X Blue Stage). Featuring MC Masao Koori, Japanese commentators Genya and Hameko., English commentators majinobama and Michael (Bandai Namco Entertainment), and the six fighters that won through Day 1. 13:00 to 13:30 – Pro Yakyuu Famista Evolution ~Home Run King Contest with Full Swing Suzuki~ – Featuring Full Swing Suzuki. 15:00 to 16:00 – Taiko no Tatsujin: Drum ‘n’ Fun! eSports Challenge Stage! Get Wonderful Prizes by Defeating Famous Names! – Featuring guests Goregous and Game Center CX‘s Shinya Arino, and chairman Kousuke Hiraiwa. 20:00 – Capcom TV! TGS 2018 Broadcast – Featuring Yoshiyuki Hirai (America Zarigani), Chocolat Ikeda, Ayana, The Touch (Takuya and Kazuya), Gorgeous, and Jun Matsumoto (Capcom). 10:15 to 10:55 – Dragon’s Dogma Online Special Stage -　The latest information on Dragon’s Dogma Online. Featuring producer Minae Matsukawa, director Kento Kinoshita, and guest Takuya Eguchi (voice actor). 11:15 to 12:00 – Mega Man 11 Special Stage – Live gameplay of the Mega Man 11 game systems, a new boss, and a new stage. Featuring producer Kazuhiro Tsuchiya, Ucchi, and guest Katsuyuki Konishi (voice actor). 12:25 to 13:15 – Devil May Cry 5 Special Stage – The latest information on Devil May Cry 5, including the announcement of the game’s Japanese voice actors. Featuring producer Michi Okabe, producer Matthew Walker, director Hideaki Itsuno, and special guests. 13:45 to 14:30 – Resident Evil 2 Special Stage – The latest information on Resident Evil 2 and live gameplay aplenty. Featuring producer Yoshiaki Hirabayashi and producer Tsuyoshi Kanda. 14:50 to 15:35 – Toraware no Palm: Refrain Tokyo Game Show Special Meeting (not live streamed) – Featuring producer Yoshiaki Hirabayashi and creative director Miwa Haru. 16:00 to 16:40 – Ace Attorney Series Special Courtroom 2018 – The latest information on the Ace Attorney series fans won’t want to miss. Featuring producer Motohide Eshiro and director Shinsuke Kodama. 10:15 to 12:45 – Monster Hunter: World Dream Match in Tokyo Game Show 2018 – Featuring producer Ryozo Tsujimoto, executive director and art director Kaname Fujioka, and director Yuuya Tokuda. 13:10 to 13:50 – Street Fighter 30th Anniversary Collection Special Stage – An introduction to Street Fighter 30th Anniversary Collection and related information. Featuring producer Shuuhei Matsumoto, promotion producer Tomoaki Ayano, and guests No Motion (Tomoyuki Yano and Kotetsu Hoshino). 14:05 to 14:35 – Mega Man 11 Special Stage – Featuring producer Kazuhiro Tsuchiya, Ucchi, and producer Daizo Nonaka. 14:50 to 15:35 – Resident Evil 2 Special Stage (not live streamed) – Featuring producer Yoshiaki Hirabayashi and producer Tsuyoshi Kanda. 15:55 to 16:45 – Devil May Cry 5 Special Stage – Featuring producer Michi Okabe, producer Matthew Walker, director Hideaki Itsuno, and special guests. 10:45 to 11:15 – Onechanbara Origin Media Briefing – The first public unveiling of Onechanbara Origin for PlayStation 4, announced by the game’s producer. 11:30 to 12:00 – Omega Labyrinth Life Media Briefing – Live gameplay and an introduction of Omega Labyrinth Life for Switch with the producer. Featuring Yousuke Uchida (D3 Publisher producer), Hinata Akatsuki (played by Miyuu Inamori), Holy Flower Flora (played by Raimu Ozawa), and MC Yuu Miyoshi. 13:05 to 14:10 – Earth Defense Force: Iron Rain and Earth Defense Force 5 Media Briefing – A media briefing focused on the new elements of Earth Defense Force: Iron Rain and localization of Earth Defense Force 5 with the producer. This stage event will be presented with a live English translation (through a receiver). Featuring Nobuyuki Okajima (D3 Publisher producer) and MC Yuki (Tsubasa Himeno). 11:30 to 12:15 – Earth Defense Force: Iron Rain vs. Dream Club Performers Live on Stage (1st Stage) – The Dream Club Performers tackle Earth Defense Force: Iron Rain at Tokyo Game Show 2018. Will the Dream Club performers be able to clear the game and perform a concert stage? A stage of singing, dancing, and pure enjoyment!? Featuring Dream Club Performers (Members: Ayaka Nakazono, Mirai Kurosu, Tsubasa Himeno, Haruhi Yanase, Kadzuki Ujou, Haruka Suzuki, and Mariko Aoki) and Nobuyuki Okajima (D3 Publisher producer). 12:30 to 13:15 – Omega Labyrinth Life Talk Session & Special Concert – A talk show featuring the voice actors of Omega Labyrinth Life and the first public performance of the game’s theme song in a special Omega Labyrinth series concert. Featuring Saki Ono, Yoffy (Psychic Lover), DelightStyle, Yousuke Uchida (D3 Publisher producer), Hinata Akatsuki (played by Miyuu Inamori), Holy Flower Flora (played by Raimu Ozawa), and MC Yuu Miyoshi. 13:40 to 14:25 – Earth Defense Force: Iron Rain Game Tournament Makuhari Messe Play-Offs! #1 – An Earth Defense Force: Iron Rain game tournament. There will be wonderful prizes for higher-ranking winners! Featuring the members of the Earth Defense Force and MCs Yuu Miyoshi and Yuki (Tsubasa Himeno). 14:40 to 15:40 – Earth Defense Force: Iron Rain Official Broadcast ~Girls, Fight Against Fate~ at Tokyo Game Show 2018 – The Earth Defense Force 5 Official Broadcast ~Girls, Fight Against Fate~ returns!? This time, it’s a busy and exciting official broadcast with Earth Defense Force: Iron Rain discussion and gameplay. Featuring Kana Yuuki, Chinami Hashimoto, and Nobuyuki Okajima (D3 Publisher producer). 15:50 to 16:35 – Earth Defense Force: Iron Rain vs. Dream Club Performers Live on Stage (2nd Stage) – The second Earth Defense Force: Iron Rain vs Dream Club Performers stage event. A stage of singing, dancing, and pure enjoyment!? Featuring Dream Club Performers (Members: Ayaka Nakazono, Mirai Kurosu, Tsubasa Himeno, Haruhi Yanase, Kadzuki Ujou, Haruka Suzuki, and Mariko Aoki) and Nobuyuki Okajima (D3 Publisher producer). 10:30 to 11:15 – Earth Defense Force: Iron Rain vs. Dream Club Performers Live on Stage (3rd Stage) – The third Earth Defense Force: Iron Rain vs Dream Club Performers stage event. A stage event of singing, dancing, and pure enjoyment!? Featuring Dream Club Performers (Members: Ayaka Nakazono, Mirai Kurosu, Tsubasa Himeno, Haruhi Yanase, Kadzuki Ujou, Haruka Suzuki, and Mariko Aoki) and Nobuyuki Okajima (D3 Publisher producer). 12:00 to 12:45 – Earth Defense Force: Iron Rain creature designer Ryu Oyama and Yuke’s development director Naoto Ueno introduce the upcoming game. Featuring Ryu Oyama, Naoto Ueno (Yuke’s), Nobuyuki Okajima (D3 Publisher producer), and MC Yuki (Tsubasa Himeno). 13:00 to 14:00 – Earth Defense Force: Iron Rain vs. Riho Futaba: Revival Love ★ Live 2018 Special Stage – An Earth Defense Force: Iron Rain special stage event featuring the game, singing, and new information. Riho Futaba, who is played by Yuuko Gotou and was once famous for appearing at the D3 Publisher booth at Tokyo Game Show, returns after 10 years for a Revival Love ★ Live 2018 special stage. How is this related to Earth Defense Force: Iron Rain? The mystery will be revealed. Featuring Yuuko Gotou and Nobuyuki Okajima (D3 Publisher producer). 14:15 to 15:00 – Earth Defense Force: Iron Rain Game Tournament Makuhari Messe Play-Offs! #2 – An Earth Defense Force: Iron Rain game tournament. There will be wonderful prizes for higher-ranking winners! Featuring the members of the Earth Defense Force and MCs Yuu Miyoshi and Yuki (Tsubasa Himeno). 15:45 to 16:30 – Earth Defense Force: Iron Rain vs. Dream Club Performers Live on Stage (Final Stage) – The final Earth Defense Force: Iron Rain vs Dream Club Performers stage event. The stage event of singing, dancing, and pure enjoyment finally reaches its finish. Surely (absolutely) something will happen here. A must-see. Featuring Dream Club Performers (Members: Ayaka Nakazono, Mirai Kurosu, Tsubasa Himeno, Haruhi Yanase, Kadzuki Ujou, Haruka Suzuki, and Mariko Aoki) and Nobuyuki Okajima (D3 Publisher producer). 10:00 – Project Judge – Gameplay of the Tokyo Game Show 2018 demo of Project Judge, the newly announced title from Ryu Ga Gotoku Studio, with the development team. Featuring Toshihiro Nagoshi (Sega Games), Kazuki Hosokawa (Sega Games), and Oshou (Dengeki PlayStation). 11:10 – Warriors Orochi 4 – Gameplay of the latest build of Warriors Orochi 4, the newest entry in the series featuring heroes from the Dynasty Warriors and Samurai Warriors. Featuring Masaki Furusawa (Koei Tecmo Games), Goroo (Dengeki Online), and kbj (Dengeki Online). 12:00 – Resonance of Fate 4K / HD Edition Special – Resonance of Fate appears in HD on PlayStation 4! Live gameplay with the producer and the director. Featuring Shingo Mukaitouge (tri-Ace), Takayuki Suguro (GRDrive), Oshou (Dengeki PlayStation), and Tadatsugu (writer). 12:50 – Crystar – Tons of information and live gameplay on the upcoming action RPG Crystar. There will also be information on the character photo session being held at the Dengeki PlayStation booth. Featuring Fuyuki Hayashi (FuRyu), Riuichi (illustrator), Sakuzyo (composer), and Yuudai Shirahata (Dengeki PlayStation). 14:10 – The Legend of Heroes: Trails of Cold Steel IV ~The End of Saga~ TGS 2018 Demo Gameplay + Aquaplus Conversation Details!? – Tokyo Game Show 2018 demo gameplay of the September 27-due The Legend of Heroes: Trails of Cold Steel IV ~The End of Saga~ with Nihon Falcom president Toshihiro Kondo. Additionally, Kondo talks about his conversation with Aquaplus president Naoya Shimokawa!? Featuring Toshihiro Kondo (Nihon Falcom) and Someya (Dengeki PlayStation). 15:30 – Call of Duty: Black Ops IIII and Destiny 2 Headshot to Your Heart – An introduction to Activision’s two first-person shooter titles, including discussion and footage of Call of Duty: Black Ops IIII‘s battle royale mode “Blackout,” and gameplay of Destiny 2: Forsaken‘s Gambit, followed by a Q&A with the directors. Featuring John Rafacz (Treyarch), Steve Cotton (Bungie), Yoshimichi Nishioka (Dengeki PlayStation), Itora (Dengeki Online), and Shuu (writer). 16:40 – Resident Evil 2 Gameplay with the Developers – Tokyo Game Show 2018 demo gameplay of the upcoming survival horror remake Resident Evil 2, including both Leon and Claire sections. Featuring Capcom developers and kbj (Dengeki Online). 10:00 – Kingdom Hearts III Live Gameplay Special – Tokyo Game Show 2018 demo gameplay of Kingdom Hearts III, the long-awaited orthodox sequel in the Square Enix series. Two worlds will be showcased. Featuring Suzutaku (writer). 11:30 – Wild Arms: Million Memories Pre-Release Gameplay Live Stream – Pre-release gameplay of Wild Arms: Million Memories, the smartphone entry in the Wild Arms RPG series due out soon. Featuring Tadatsugu (writer). 12:30 – Soreyuke! Honoka-Juku at Tokyo Game Show 2018 Official Broadcast – “Soreyuke! Honoka-Juku” is the official broadcast of Honoka Nishimura, an idol of the Last Idol family’s “Love Cocchi” group. At Tokyo Game Show 2018, she will play Dead by Daylight: Special Edition. Featuring Honoka Nishimura (idol), Yoshimichi Nishioka (Dengeki PlayStation), Goroo (Dengeki Online), and Itora (Dengeki Online). 14:10 – Yoake no Belcant and Rurutaru Idea – The latest information on Clover Lab’s smartphone RPGs Yoake no Belcant and Rurutaru Idea with the producers of each title. Featuring Kouzou Kawamoto (Clover Lab) and Tadayoshi Rekisha (Clover Lab). 15:20 – Dx2 Shin Megami Tensei: Liberation Live Stream TGS Special – An introduction to the Tokyo Game Show 2018 venue-exclusive augmented reality photo project. Featuring Riichirou Yamada (Sega Games) and Goroo (Dengeki Online). 16:00 – Dengeki vs. Famitsu Showdown No. 1 – Dengeki and Famitsu put their pride on the line in their first showdown. Details will be announced at a later date. 11:00 – Alternative Girls 2 TGS 2018 Official Special Broadcast – The official special broadcast of the VR mode-equipped beautiful girls RPG Alternative Girls 2 at Tokyo Game Show 2018 with new game information debuting for the first time and certain information fans have been long awaiting. Featuring Kaede Hondo (voice actor), Juri Nagatsuma (voice actor), Sonmindaihyo Minamikawa (comedian), and Mao Koide (QualiArts). 13:20 – The Quiet Man Pre-Release Gameplay and Story Observations with the Audience – Pre-release gameplay of the PlayStation 4 and PC title The Quiet Man from Square Enix. Featuring Yohei Murakami (Square Enix), Miyashita (Dengeki Online), and Goroo (Dengeki Online). 14:40 – Valkyria Anatomia: The Origin Special Broadcast – The official Valkyria Anatomia: The Origin live stream from Tokyo Game Show 2018. Starts with the announcement of the user photo contest results, following by a segment looking back on famous scenes. Featuring Toshimichi Kimura (Square Enix), Frey (Æsir), and Tadatsugu (writer). 16:00 – Dengeki vs. Famitsu Showdown No. 2 – Dengeki and Famitsu put their pride on the line in their second showdown. Details will be announced at a later date. 11:00 – Ghost of Tsushima Interview – An interview with the development team of the upcoming PlayStation 4 title Ghost of Tsushima from Sony Interactive Entertainment. 12:00 – The Girl in Twilight Tokyo Game Show Special Broadcast – A grand introduction to the Animax 20th commemorative project The Girl in Twilight with its production staff and voice actors. Plus, early gameplay of the smartphone game. Featuring Takeshi Takadera (Animax), Kenji Ito (composer), Tomoyo Kurosawa (voice actor), Lynn (voice actor), and Ami Koshimizu (voice actor). 13:20 – Playing Dark Souls Remastered with a Steering Wheel Controller Tokyo Game Show Edition – Degenki Channel’s ‘playing Dark Souls Remastered with a steering wheel controller’ broadcast that airs every Saturday appears at Tokyo Game Show. Come see Goroo and itora’s driving techniques. Featuring Goroo (Dengeki Online) and Itora (Dengeki Online). 14:30 – Compile Heart’s Latest Games Collection at TGS 2018 – A focus on Compile Heart’s new games coming out over the course of three months starting in October: live gameplay and trailers for Varnir of the Dragon Star, Arc of Alchemist, and Super Neptunia RPG. Featuring Makoto Kitano (Idea Factory / Compile Heart), Naoko Mizuno (Idea Factory / Compile Heart) , Kazuteru Maruyama (Idea Factory / Compile Heart), and Yuudai Shirahata (Dengeki PlayStation). 16:00 – Dengeki vs. Famitsu Showdown No. 3 – Dengeki and Famitsu put their pride on the line in their third showdown. Details will be announced at a later date. 11:00 to 11:40 – Grenge New Title Introduction and Pocodun Scoop! 14:00 to 14:40 – Alim’s Eiji Takahashi Appears! Mist Gear News, Too! 15:00 to 15:40 – Earth Defense Force: Iron Rain: Let Out Your Battle Cry! 12:00 to 12:40 – Dead or Alive 6: The Battle has Evolved! Note: Outside of the Sepetmber 21 broadcast, GungHo Online Entertainment has not announced plans to live stream its events. 15:30 to 17:00 – Kanako Takatsuki Presents TGS Pre-Public Day Special! Broadcast (YouTube) – The “Double Kings” that are KazuKing and TakatsuKing challenge the limited special demo of Ninjala. Plus the latest information on Yo-kai Watch World and Meiji Almond Chocolate Presents Puzzle & Dragons Championship Cup at Tokyo Game Show 2018. Featuring executive producer Kazuki Morishita (GungHo Online Entertainment CEO) and voice actor Kanako Takatsuki. 10:30 (Consolation Matches) / 14:00 (Finals) – Meiji Almond Chocolate Presents Puzzle & Dragons Championship Cup at Tokyo Game Show 2018 (YouTube) – At 10:30, the consolation match of the Puzzle & Dragons Champions Cup at Tokyo Game Show 2018, the pinnacle of Puzzle & Dragons tournaments, will be held on the booth stage. Then, starting at 14:00 JST on the “e-Sports X” mega stage, four pros joined by the one winner of the consolation match will compete in the finals tournament for 10 million yen in total prize money. 13:30 to 14:00 – Yo-kai Watch World Special Stage No. 1 – The latest information and a discussion on Yo-kai Watch World with executive producer Kazuki Morishita and Machine Guns comedian Riyou Nishihori. Featuring executive producer Kazuki Morishita (GungHo Online Entertainment CEO), Yo-kai Watch World director Kouichi Shou, and comedian Riyou Nishihori (Machine Guns). 14:30 to 15:00 – Ninjala Shalalalala – Presentation and exhibition match with Machine Guns comedian Riyou Nishihori and game-loving voice actor Misae Komori. Featuring executive producer Kazuki Morishita (GungHo Online Entertainment CEO), Ninjala director Takeshi Arakawa, comedian Riyou Nishihori (Machine Guns), and voice actor Misae Komori. 16:00 to 16:30 – Game School Standoff: Ninjala Ippon! Match – A game school showdown with a secret prize on the line. 11:30 to 12:00 – Game Media Standoff: Ninjala Ippon! Match – A game media showdown with a secret prize on the line. 13:30 to 14:00 – Ninjala Shalalalala – Presentation and exhibition match with Machine Guns comedian Riyou Nishihori and game-loving voice actor Misae Komori. Featuring executive producer Kazuki Morishita (GungHo Online Entertainment CEO), Ninjala director Takeshi Arakawa, comedian Riyou Nishihori (Machine Guns), and voice actor Misae Komori. 15:00 to 16:00 – Yo-kai Watch World Special Stage No. 2 – The latest information and a discussion on Yo-kai Watch World with executive producer Kazuki Morishita and Machine Guns comedian Riyou Nishihori. Featuring executive producer Kazuki Morishita (GungHo Online Entertainment CEO), Yo-kai Watch World director Kouichi Shou, comedian Riyou Nishihori (Machine Guns), and special guest Akihiro Hino (Level-5 CEO). 16:00 to 17:00 – Shaberisugi Gamer @ TGS 2018 – A one-hour Shaberisugi Gamer (Talks-Too-Much Gamer) broadcast from the Makuhari Messe where Tokyo Game Show 2018 is being held. Please look forward to discussion unique to Tokyo Game Show, starting with impressions on the latest game demos. 10:00 to 17:00 – Always-Together Live Stream @ TGS 2018 – A day-long live stream with the usual members of Shaberisugi Gamer, as well as various developer guests. 13:00 to 14:00 – KLab Games Opening Showcase – Shibayan and Yoshiko Enjoji will introduce the full lineup of stage events and display areas, as well as the exciting prizes to be given away to lucky fans, to be found none other than at the KLabGames booth during the show. Featuring MCs Shibayan and Yoshiko Enjoji. 15:00 to 16:00 – KLab Sound Team Special Live Show – The same set list as the first performance is planned. Featuring KLab Sound Team / Mitsuru Mit (Support Drums from Happy Go Lucky Heads). 11:30 to 12:30 – Captain Tsubasa: Dream Team TGS 2018 Special Stage Event! (YouTube, Periscope, Facebook) – A special stage featuring Yoichi Takahashi, the creator of Captain Tsubasa, and other guests! A friendly match will be held with in-game Dreamballs on the line, and there will be giveaways. Featuring MC Sasha and guests Yoichi Takahashi (creator of Captain Tsubasa), Yu Mashima (actor), Dancho Yasuda (Yasuda Dai Circus), and Muton Ito. 14:30 to 15:30 – Free Prizes for Everyone! TGS2018 Love Live! School Idol Festival Score Match with 100 Players Challenge Stage Event, Day 1 (YouTube, Periscope, Facebook) – Love Live!‘s Nijigasaki High School Idol Club members will appear at this TGS special stage! Plus an “Everyone’s Score Match” will give everyone at TGS and those watching via stream the chance to participate! Prizes will be given out in-game to everyone. (Participation will be first come, first served. The Score Match with 100 competitors will only be in the Japanese version of the game. However, the global version will have a special TGS2018 login bonus and packs for sale.) Featuring Aguri Onishi (Ayumu Uehara), Mayu Sagara (Kasumi Nakasu), Kaori Maeda (Shizuku Osaka), and Miyu Kubota (Karin Asaka). 16:00 to 17:00 – Lapis Re:LiGHTs Tokyo Game Show 2018 Special Stage Event (Bilibili) – In addition to LiGHTs and supernova, the entire cast of 20 will perform! Plus, visuals and voice actor info for the fabled unit “Ray” will be revealed. You don’t want to miss it! 10:30 to 11:30 – Yu Yu Hakusho 100% Maji Battle Panel (YouTube, Periscope, Niconico, Fresh Live) – Entertainers who love Yu Yu Hakusho will gather at this stage event to talk about why they like the series and have a fun talk show. Special guest Nozomu Sasaki, the voice of Yusuke Urameshi, will appear as well! And of course, new info about the game will be revealed! Featuring MC Ryuichi Hamaie (Kamaitachi), Motohiro Takewaka (Buffalo Goro), Kenji Yamauchi (Kamaitachi), Takao Jitsukata (Rainbow), Naoto Ikeda (Rainbow), and Nozomu Sasaki (VA for Yusuke Urameshi). 12:00 to 13:00 – Free Prizes for Everyone! TGS2018 Love Live! School Idol Festival Score Match with 100 Players Challenge Stage Event, Day 2 (YouTube, Periscope, Facebook) – Love Live!‘s Nijigasaki High School Idol Club members will appear at this TGS special stage! Plus an “Everyone’s Score Match” will give everyone at TGS and those watching via stream the chance to participate! Prizes will be given out in-game to everyone. (Participation will be first come, first served. The Score Match with 100 competitors will only be in the Japanese version of the game. However, the global version will have a special TGS2018 login bonus and packs for sale.) Featuring Natsumi Murakami (Ai Miyashita), Akari Kito (Kanata Konoe), Tomori Kusunoki (Setsuna Yuki), Maria Sashide (Emma Verde), and Chiemi Tanaka (Rina Tennoji). 13:30 to 14:30 – Bleach: Brave Souls Bankai Live @ Tokyo Game Show 2018 (YouTube, Periscope, Facebook) – Fantastic guests Masakazu Morita (VA for Ichigo Kurosaki), Katsuyuki Konishi (VA for Keigo Asano and Shuhei Hisagi), Ryotaro Okiayu (VA for Byakuya Kuchiki), Noriaki Sugiyama (VA for Uryu Ishida), as well as others take the stage to play Co-Op live and reveal the latest info about the game. 15:00 to 16:00 – The Uta no Princesama: Shining Live 1st Anniversary stage event will start at 3:00 pm on Sunday, September 23! (YouTube, Periscope, Bilibili, Facebook – Uta no Princesama: Shining Live will have a special stage event to commemorate one year since the game started! With Takuma Terashima (VA for Otoya Ittoki) as the special guest, the stage event will look back on the past year and reveal brand new information, as well as feature a live reading of a game script. 13:00 to 13:45 – Warriors Orochi 4 Pre-Release Stage – A full introduction to Warriors Orochi 4 ahead of its September 27 release with producer Masaki Furusawa. The producers of the Samurai Warriors and Dynasty Warriors will also appear. Featuring producer Masaki Furusawa, producer Hisaki Koinuma, and producer Akihiro Suzuki. 14:30 to 15:15 – Dead or Alive 6 Overview with Producer Yohei Shimbori – Featuring producer Yohei Shimbori. 14:00 to 14:45 – Dead or Alive 6 Exhibition Match – A Dead or Alive 6 exhibition match with guest players. Featuring producer Yohei Shimbori and live streamer Usao. 12:00 to 13:00 – Koei Tecmo Cosplay Collection in Tokyo Game Show 2018 – This year’s cosplay collection will be held as a fashion show. A stage event featuring unique cosplayers from all over the country. Featuring Koei Tecmo president Hisashi Koinuma and guest commentator Jacky Dosai (Cosplay Mode adviser). 13:30 to 14:00 – Dynasty Warriors: Unleashed Special Stage – A special stage dedicated to the latest information on the flashy Musou smartphone action game Dynasty Warriors: Unleashed. Featuring producer Akihiro Suzuki, Keita Nakamura (Nexon mobile division head), and project manager Kou Hakushin (Nexon). 16:00 to 16:45 – Dead or Alive 6 Special Tournament – A special tournament featuring the fighters at Tokyo Game Show 2018. What special news will be announced during this event? Featuring producer Yohei Shimbori and live streamer Usao. 12:30 – Baseball Titles Special Stage – The latest information on the Powerful Pro Pro League and Konami baseball titles. 11:00 to 11:30 – Yakuza Online Special Stage – An introduction to Yakuza Online with lead voice actor Kazuhiro Nakaya and Yakuza-loving idol Mirin Furukawa. Featuring Masayoshi Yokoyama (series producer) and Akio Horii (director), guests Kazuhiro Nakaya (voice actor) and Mirin Furukawa (Denpagumi.inc), and more. 11:40 to 12:20 – Catherine: Full Body Special Stage – The super maturely evolved Catherine: Full Body‘s grand debut. Live gameplay with the wonderful talents you’d expect . Featuring Chiaki Matsuzawa (freelance announcer), Tomomi Isomura (voice actor), and more. 12:45 to 13:15 – Dx2 Shin Megami Tensei: Liberation – Announcements concerning the future developments and road map of Dx2 Shin Megami Tensei: Liberation with guests Yuusuke Kobayashi (Megakin voice actor) and Tatsurou Iwamoto (character designer). Tokyo Game Show-limited challenges will also debut. Featuring Riichirou Yamada (chief producer) and guests Yuusuke Kobayashi (Megakin voice actor) and Tatsurou Iwamoto (character designer). 13:30 to 14:15 – Project Judge – The latest information on the Takuya Kimura-starring legal suspense action game Project Judge from Ryu Ga Gotoku Studio with general director Toshihiro Nagoshi and Ryu Ga Gotoku Studio fan MCU, who comes from the music industry. Featuring Toshihiro Nagoshi (general director) and guest MCU (artist). 14:30 to 15:10 – Phantasy Star Online 2 x Monster Hunter Frontier-Z Collaboration Stage – Information on the Phantasy Star Online 2 side of the Phantasy Star Online 2 x Monster Hunter Frontier-Z collaboration planned for distribution this fall. Featuring Satoshi Sakai (Phantasy Star Online 2 producer), Yuya Kimura (Phantasy Star Online 2 series director), and guest Teruki Miyashita (Monster Hunter Frontier-Z producer at Capcom). 15:30 to 16:00 – Wonder Gravity: Pino to Juuryoku Tsukai – The latest information and pre-release gameplay of Wonder Gravity with guests Kazuma Horie and Satomi Akesaka, who play characters in the game. Featuring Minami Kumazawa (development director) and Yukihiro Muramatsu (management director at f4samurai), and guests Kazuma Horie (voice actor) and Satomi Akesaka (voice actor). 12:00 to 12:30 – Team Sonic Racing – An introduction and live gameplay of Team Sonic Racing with Sonic series producer Takashi Iizuka and Team Sonic Racing director Shunsuke Kawarazuka. Featuring Takashi Iizuka (Sonic series producer) and Shunsuke Kawarazuka (Team Sonic Racing director). 12:45 to 13:15 – New Project Announcement – The announcement of a new initiative with a certain IP. An announcement of full support for this new project blowing a fresh breeze into the VR industry. Featuring Minoru Iwaki (Sega Games CSO board director), Taira Nakamura (producer), and guests Yuka Ozaki (voice actor), Kana Motomiya (voice actor), Ruka Nemoto (voice actor), Mami Yamashita (voice actor), Mika Sawae (VR produer), Mafia Kajita (freelance writer), and Sora Tokino (VTuber). 14:30 to 15:10 – Idola Phantasy Star Saga Special Stage – The latest gameplay information never before revealed on the completely new RPG Idola Phantasy Star Saga. Featuring Shuntarou Tanaka (producer), Tomomasa Chin (director), and guests Risae Matsuda (voice actor) and Matsuda Satsumi (voice actor). 16:00 to 16:00 – Valkyria Chronicles 4 – Live gameplay of Valkyria Chronicles 4 and Valkyria Chronicles Remastered for Switch. Featuring Kohei Yamashita (director), MC Hashiyan Kousaka (Valkyria Love! Fan Club president), and guest Yurika Tachibana (talent). 19:30 – Persona Q2: New Cinema Labyrinth Live Stream Special (Niconico) – Former AKB48 idol Haruka Ishida plays Persona Q2: New Cinema Labyrinth. Plus Tokyo Game Show 2018 exhibition information, including the debut of a new video and background music, and tons of other game information. Featuring Mafia Kajita (freelance writer), Haruka Ishida (former AKB48 idol), Manabu Sakamaki (voice actor), and MC Haruka Mori (freelance announcer). 10:15 to 10:45 – Warner Bros. Japan: Hitman 2 – An overview of the highlights of the November 15-due Hitman 2 with guest Hitman PR ambassador Mafia Kajita. Featuring Mafia Kajita (game writer) and Ayumi Ohashi (Hitman 2 promotion). 11:00 to 11:30 – Shenmue I & II – Heated discussion among members of the games industry who respect the legendary game Shenmue. Featuring Hikaru Katada (Weekly Famitsu), Toshiya Nishiura (Dengeki Game Media), Haruo Murata (freelance announcer recommended by 4Gamer.net), Esra Krabbe (IGN), and more. 11:40 to 12:10 – Readyyy! – A stage event featuring the latest information on the idol training smartphone game Readyyy! with the voice actors of the five unit leaders. Featuring MC Masaya Matsukaze (voice actor) and guests Tetsuei Sumiya (voice actor), Ryuichi Sawada (voice actor), Haruto Kuroki (voice actor), Shuuma Konoe (voice actor), and Yuuki Sakakihara (voice actor). 12:20 to 13:20 – Phantasy Star Online 2 Stage – Information on the latest Phantasy Star Online 2 updates with official program host Ichitarou Ai and Arcs PR team NT Yui Hasegawa. Featuring Ichitarou Ai (voice actor, Phantasy Star Online 2 Arcs Live! program host), Yui Hasegawa (voice actor, Arcs Live! PR team NT), Satoshi Sakai (Phantasy Star Online 2 producer), and Yuya Kimura (Phantasy Star Online 2 series director). 13:30 to 14:45 – Project Judge – The latest information on the Takuya Kimura-starring legal suspense action game Project Judge from Ryu Ga Gotoku Studio with general director Toshihiro Nagoshi and Ryu Ga Gotoku Studio fan MCU, who comes from the music industry. Featuring Toshihiro Nagoshi (general director) and guest MCU (artist). 14:30 to 15:00 – Persona Q2: New Cinema Labyrinth Special Talk Show – The cast of the latest Persona series RPG Persona Q2 appear on stage for a dream performance. Plenty of talk about the game’s charm with the feelings of each character they play. Featuring Chiaki Matsuzawa (freelance announcer), Daisuke Kaneda (Persona Q2 producer and director), and guests Jun Fukuyama (voice actor), Ikue Otani (voice actor), Ami Koshimizu (voice actor), and Marina Inoue (voice actor). 15:10 to 15:40 – Sega Ages – A Sega Ages development team discussion with the mysterious, retro game-loving artist MC8bit as a guest. Major title-related announcements are planned. Featuring Kazunari Shimamura (senior producer), Yosuke Okunari (supervisor), Naoki Horii (M2 president), and guest MC8bit. 15:50 to 16:10 – Puyo Puyo eSports – An exhibition match among the successive champions of the Puyo Puyo Championship eSports pro tournament. Heated battles will unfold! Featuring Puyo Puyo series pro players Machomu, Makki, Kamestry, and Mokou (commentary). 16:20 to 16:50 – Team Sonic Racing Talk Show & Mini Concert – A talk show with Sonic series producer Takashi Iizuka and Team Sonic Racing lead composer Jun Senoue. At the end of the stage, Jun Senoue will host a mini concert. Featuring Takashi Iizuka (Sonic series producer) and Jun Senoue (Team Sonic Racing lead composer). 10:15 to 10:45 – Border Break for PS4 TGS 2018 Special Stage – The latest information and future development announcements for the PlayStation 4 version of Border Break with Denpagumi.inc’s Mirin Furukawa. Featuring Seiji Aoki (producer), Kensaku Nishimura (public relations), and guest Mirin Furukawa (Denpagumi.inc). 11:00 to 12:00 – Phantasy Star Online 2 Station! TGS 2018 Special – The official Phantasy Star Online 2 Station program delivering the latest Phantasy Star Online 2 information with featured guest Sumi Shimamoto, who voices Alisa in the game. Featuring MC Kanishi Nasuna (comedian, Arcs PR team NT), MC substitute Marika Kouno (voice actor, DF Girls), Satoshi Sakai (Phantasy Star Online 2 series producer), Yuya Kimura (Phantasy Star Online 2 series director), and guest Sumi Shimamoto (voice actor, Alisa in Phantasy Star Online 2). 12:15 to 12:45 – Yakuza Online Special Stage – An introduction to Yakuza Online with voice actor Kazuhiro Nakaya, who plays protagonist Ichiban Kasuga. An interim report of the Yakuza characters poll is also planned. Featuring Masayoshi Yokoyama (series producer) and Akio Horii (director), guests Kazuhiro Nakaya (voice actor) and Mirin Furukawa (Denpagumi.inc), and more. 13:00 to 13:40 – Catherine: Full Body Complete Introduction Premiere – A cross-examination of the super maturely evolved Catherine: Full Body‘s content shrouded in mystery with special guests. Live gameplay and debut information one after the other. Featuring Chiaki Matsuzawa (freelance announcer), Tomomi Isomura (voice actor), Mafia Kajita (freelance writer), and more. 14:00 to 14:45 – Project Judge – The latest information on the Takuya Kimura-starring legal suspense action game Project Judge from Ryu Ga Gotoku Studio with general director Toshihiro Nagoshi and Ryu Ga Gotoku Studio fan MCU, who comes from the music industry. Featuring Toshihiro Nagoshi (general director) and guest MCU (artist). 15:00 to 15:30 – Idola Phantasy Star Saga Special Stage – An introduction to the charm of the completely new RPG Idola Phantasy Star Saga with protagonist voice actor Toshiki Masuda. Featuring Shuntarou Tanaka (producer), Tomomasa Chin (director), and guests Toshiki Masuda (voice actor), Risae Matsuda (voice actor) and Matsuda Satsumi (voice actor). 15:45 to 16:15 – Persona 5 Mini Concert and Talk Show – After surpassing 2.2 million units worldwide, Persona 5 also has an ongoing TV anime. With its climax close at hand, Persona 5 vocalist Lyn sings on stage. Featuring Lyn (vocalist), Chiaki Matsuzawa (freelance announcer), and more. 16:30 to 16:50 – Finale Concert – Featuring Lyn (vocalist), Jun Senoue (Sonic series sound director), and Shoji Meguro (Persona series sound composer). 11:20 to 12:30 – Super Dragon Quest X TV at Tokyo Game Show 2018 Special – The “Super Dragon Quest X TV” official broadcast aired monthly on Niconico appears as a special stage at the Square Enix booth at Tokyo Game Show 2018. Look forward to all sorts of things, from the latest information on the game’s new version to a battle challenge corner and more. Featuring Kouji Aoyama (producer), Takashi Anzai (director), Inko-san (2nd Term Novice Ambassador), Ami201 (3rd Term Novice Ambassador), MC Ayana Tsubaki (talent), and MC Motohiro Takewaka (Buffalo Gorou). 12:30 to 12:50 – Gems Company’s Aoi Mizushina’s Dragon Quest X Stage After Talk – Gem’s Company’s Aoi Mizushina looks back on the Dragon Quest X stage event with producer Kouji Aoyama and director Takashi Anzai. 12:50 to 13:40 – Kingdom Hearts III Tokyo Game Show 2018 Stage – The latest information on Kingdom Hearts III ahead of its January 2019 release. A rare stage event with a troupe of wonderful voice actors. Featuring Miyu Irino (voice actor), Megumi Toyoguchi (voice actor), and MC Akira Kawashima (actor). 13:40 to 14:00 – Gems Company’s Yuzuki Shirono’s Kingdom Hearts III Stage After Talk – Gems Company’s Yuzuki Shirono’s looks back on the Kingdom Herts III stage event. 14:00 to 14:50 – Dragon Quest Builders 2 Builders School Extracurricular Lesson – The latest information on the block-make RPG Dragon Quest Builders 2, which is due out for PlayStation 4 and Switch on December 20. Featuring Noriyoshi Fujimoto (producer), Takuma Shiraishi (producer), Saito-V (Shueisha V-Jump Editorial Department), and MC Ranze Fukishima (talent). 14:50 to 15:10 – Gems Company’s Nene Naninu’s Dragon Quest Builders 2 Stage After Talk – Gems Company’s Yuzuki Shirono’s looks back on the Dragon Quest Builders 2 stage event with producers Noriyoshi Fujimoto and Takuma Shiraishi. 15:10 to 16:00 – Project Tokyo Dolls Presents Yamadada at Tokyo Game Show 2018 – The YouTube broadcast “Yamadada” at Tokyo Game Show 2018 with Yamada and the characters of the app game Project Tokyo Dolls. Yamada will appear on the Tokyo Game Show stage. Tons of content, including information on the latest update. Featuring Yamada (Virtual YouTuber), Kaori Ishihara (voice actor), Eri Suzuki (voice actor), Hibiku Yamamura (voice actor), and MC Hisanori Yoshida (Nippon Broadcasting announcer). 10:00 to 10:10 – Opening – Gems Company and Susumu Imadachi open the September 22 show. 10:20 to 11:05 – Chocobo’s Mystery Dungeon: Every Buddy! and Final Fantasy: Crystal Chronicles Remastered Special Live! – A live stream for the 2019-due titles Chocobo’s Mystery Dungeon: Every Buddy! and Final Fantasy: Crystal Chronicles Remastered. World premiere gameplay plus various information. Featuring Akihiko Maeda (Chocobo’s Mystery Dungeon: Every Buddy! director), Toshiyuki Itahana (Chocobo’s Mystery Dungeon: Every Buddy! character designer), Sayaka Senbongi (Chocobo’s Mystery Dungeon: Every Buddy! Shirma voice actor), Lynn (Chocobo’s Mystery Dungeon: Every Buddy! Croma voice actor), Ryouma Araki (Final Fantasy: Crystal Chronicles Remastered Edition producer), and Susumu Imadachi (talent). 11:20 to 12:05 – The Last Remnant Remastered TGS 2018 Special Broadcast – A special broadcast for the September 11-announced The Last Remnant Remastered. Stories from the development of the original game from its original staff, as well as live gameplay of the remastered version. Featuring Hiroshi Takai (original director), Yusuke Naora (original art producer), Kouichirou Sakamoto (remaster director), Asami Katada (remastered project assistant), and MC Nobuo (of the comedy duo Penguins). 12:20 to 13:05 – Final Fantasy: Record Keeper Official Broadcast at Tokyo Game Show 2018 – The official Final Fantasy: Record Keeper broadcast from Tokyo Game Show 2018 in commemoration of the game’s fourth anniversary, with information that has yet to be announced. Featuring Ichirou Hazama (Final Fantasy: Record Keeper producer), Yuu Sasaki (Final Fantasy: Record Keeper producer), Ai Takahashi (actress), and MC Susumu Imadachi (talent). 13:20 to 14:05 – Romancing SaGa Latest Titles Special Broadcast – A completely new entry in the Romancing SaGa series has finally been announced! What kind of game is it? The developers will explain the key points of this title in full! And as for Romancing SaGa 3 news… please look forward to the stage event! Featuring Akitoshi Kawazu (SaGa series general director), Masanori Ichikawa (producer), Shuuhei Yamaguchi (Akatsuki producer), Seizan Shimazaki (Akatsuki creative producer and engineer), Kenji Ito (composer), MC Nobuo (of the comedy duo Penguins). 14:20 to 15:30 – Let’s Play with the President: Just Cause 4 and Shadow of the Tomb Raider at Tokyo Game Show 2018 – “Let’s Play with the President,” the popular project from Square Enix’s “Square Enix Extreme Edges” label, which is dedicated to overseas titles, appears again this year at the Square Enix booth at Tokyo Game Show 2018. Information and live gameplay of Just Cause 4 and the September 14-due Shadow of the Tomb Raider with Square Enix president Yosuke Matsuda. Featuring Yosuke Matsuda (Square Enix president), Yuuki Nishio (localization director), Daisuke Yamamoto (localization director), Iori Amamiya (Moso Calibration), and MC Susumu Imadachi (talent). 15:45 to 16:00 – Ending – Gems Company and Susumu Imadachi close the September 22 show. 11:20 to 12:20 – Million Arthur Series Stage – Various information on the Million Arthur series with wonderful guests. From the Han-Gyaku-Sei Million Arthur anime that will begin airing in October, to the Million Arthur: Arcana Blood PlayStation 4 2D fighting game due out on November 29, to the Kou-Kyou-Sei Million Arthur smartphone game due out soon, and more, there may be information announced for the first time at this very stage event. Featuring Satomi Akesaka (voice actor), Himika Akaneya (voice actor), Rumi Ookubo (voice actor), Hiroaki Iwano (Million Arthur series producer), and Naofumi Takuma (Million Arthur: Arcana Blood producer). 12:20 to 12:40 – Gems Company’s Mikoto Hase’s Million Arthur Stage After Talk – Gems Company’s Mikoto Hase asks Million Arthur series producer Hiroaki Iwano, Million Arthur: Arcana Blood producer Naofumi Takuma a lot of questions following the Million Arthur stage event. 12:40 to 13:30 – Dragon Quest Paradise News Station – The latest information on Dragon Quest-related works, starting with Dragon Quest Builders 2. Featuring Yuji Horii (game designer), MC Joy (talent), Noriyoshi Fujimoto (Dragon Quest Builders 2 producer), Takuma Shiraishi (Dragon Quest Builders 2 producer), Hokuto Okamoto (Dragon Quest XI producer), Takeshi Uchikawa (Dragon Quest XI director), and Ranze Fukushima (talent). 13:30 to 13:50 – Gems Company’s Maya Ichimonji’s Dragon Quest Paradise News Station Stage After Talk – Gems Company’s Maya Ichimonji talks Dragon Quest with game designer Yuji Horii, JOY, and Ranze Fukushima following the Dragon Quest Paradise News Station stage event. 13:50 to 14:50 – Final Fantasy XIV: Yoshi-P Sanpo in Makuhari – Final Fantasy XIV producer and director Naoki Yoshida’s leisurely live stream where he makes his way into a different public server for each broadcast, this time at Tokyo Game Show 2018. Featuring Naoki Yoshida (producer and director) and Toshio Murou (global community producer). 14:50 to 15:10 – Gems Company’s Uta Tamane’s Final Fantasy XIV Stage After Talk – Gems Company’s Uta Tamane looks back on the Final Fantasy XIV stage event with producer and director Naoki Yoshida. 15:10 to 16:00 – The World Ends with You: Final Remix Tokyo Game Show 2018 Special Stage – The latest information and live gameplay of The World Ends with You: Final Remix ahead of its September 27 release with special guests. Featuring Kouki Uchiyama (voice actor), Ryouhei Kimura (voice actor), Tatsuya Kandou (director), and MCs Alco and Peace (actors). 10:00 to 10:15 – Opening – Gems Company and Susumu Imadachi open the September 23 show. 10:30 to 11:15 – Left Alive Tokyo Game Show 2018 Special Broadcast – Tons of new information on the new survival action game Left Alive straight from the development staff. Featuring Shinji Hashimoto (producer), Toshifumi Nabeshima (director), and MC Susumu Imadachi (talent). 11:35 to 12:20 – Final Fantasy After Final Fantasy! World of Final Fantasy Maxima TGS 2018 Special – The latest information on the Final Fantasy series’ expansion to new platforms and World of Final Fantasy Maxima. Featuring Shinji Hashimoto (Final Fantasy series brand director), Hiroki Chiba (World of Final Fantasy Maxima director), and MCs Takeshi Kashio and Mariko Nishizawa (Finan Fantasy Portal app). 12:40 to 13:25 – Final Fantasy: Brave Exvius Official Broadcast at Tokyo Game Show 2018 – The latest information on Final Fantasy: Brave Exvius, as well as an overview of the game’s third anniversary event goods and update details. Featuring Kay Hirono (producer), Yutaka Utsugi (director), Chuunii (Final Fantasy: Brave Exvius Official YouTube Channel), Misoshiru (Final Fantasy: Brave Exvius Official YouTube Channel), and MC Susumu Imadachi (talent). 13:45 to 14:30 – Mobius Final Fantasy Tokyo Game Show 2018 Special – The official broadcast for the popular smartphone title Mobius Final Fantasy: Warrior of Ruin, this time from Tokyo Game Show 2018 and with special guests. Featuring Yoshinori Kitase (producer), Takashi Shiraga (project leader), MC Sanshi, and Marika Kouno (voice actor). 14:45 to 15:30 – The Quiet Man Live in Makuhari – The official information broadcast for the upcoming PlayStation 4 and PC title The Quiet Man, this time at the Makuhari Messe. Featuring Youhei Murakami (head of promotion) and Kensei Fujinaga (producer). 15:45 to 16:00 – Ending – Gems Company and Susumu Imadachi close the September 23 show. 13:00 – Umehara Takes on Shadowverse! A Showdown with Pro Players, Too! 15:00 – Tom Clancy’s Rainbow Six Siege Popular Team Father’s Back Appears! 12:00 to 12:45 – Jump Force Stage (YouTube) – Featuring Koji Nakajima (Bandai Namco Entertainment). 13:00 to 13:45 – God Eater 3 Stage (YouTube) – Featuring Yusuke Tomizawa, Hiro Yoshimura, and Yusuke Tomiyama (Bandai Namco Entertainment). 14:00 to 14:45 – Yu-Gi-Oh! Duel Links Stage (YouTube) – Featuring Minoru Yaneyama (Konami), Ryuusei, and Shironosu (Charisma Duelists). 15:00 to 15:45 – Billion Road Stage (YouTube) – Featuring Aoba Miyazaki (Bandai Namco Entertainment). 16:00 to 16:45 – Crystar Stage (YouTube) – Featuring Fuyuki Hayashi (FuRyu), Riuichi (illustrator), and Sakuzyo (composer). 11:00 to 11:45 – One Piece: World Seeker Stage – Featuring Romeo Hirata and Kuzan Yahata (Bandai Namco Entertainment). 12:00 to 12:30 – Mega Man 11 Stage – Featuring Kazuhiro Tsuchiya (Capcom). 14:00 to 14:30 – Devil May Cry 5 Stage – Featuring Michiteru Okabe (Capcom). 15:00 to 15:30 – Resident Evil 2 Stage – Featuring Yoshiaki Hirabayashi and Tsuyoshi Kanda (Capcom). 16:00 to 16:45 – Yuuna and the Haunted Hot Springs: Steam Dungeon Stage – Featuring Akiyoshi Yahagi and Kanami Asai (FuRyu). 11:00 to 11:45 – Dragon Ball FighterZ Stage – Featuring Tomoko Hiroki and Soya Mikumo (Bandai Namco Entertainment), Souji (pro gamer), and Kuro-chan (Yasuda Dai Circus). 12:00 to 12:45 – Warriors Orochi 4 Stage – Featuring Masaki Furusawa (Koei Tecmo). 13:00 to 13:45 – Puyo Puyo eSports Stage – Featuring Mokou and Taiyou Amemiya (Puyo Puyo series pro players). 14:00 to 14:30 – Monster Hunter: World Stage – Featuring Ryozo Tsujimoto (Capcom). 15:00 to 15:45 – Naruto to Boruto: Shinobi Striker and My Hero One’s Justice Stage – Featuring Noriaki Niino and Aoba Miyazaki (Bandai Namco Entertainment). 16:00 to 16:45 – Dragon Quest Builders 2 Stage – Featuring Noriyoshi Fujimoto and Takuma Shiraishi (Square Enix). 12:00 to 12:45 – Black Clover: Quartet Knights Stage – Featuring Tomoko Hiroki (Bandai Namco Entertainment). 13:00 to 13:30 – Ace Attorney Stage – Featuring Motohide Eshiro and Shu Takumi (Capcom). 15:00 to 15:45 – Kingdom Hearts III Stage – Featuring Tai Yasue (Square Enix).